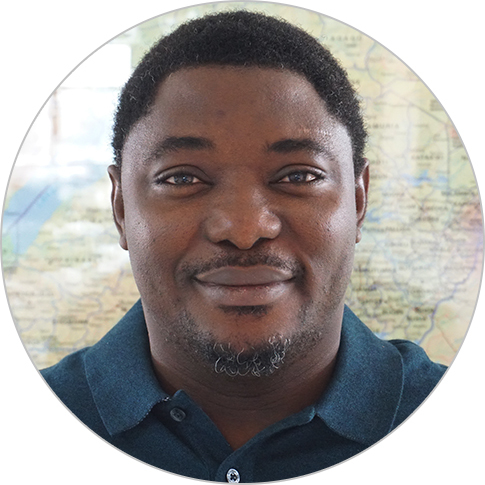 Robert Anyang is an agricultural value chain improvement and marketing expert with more than 20 years of experience applying the facilitative approach to market systems and value chain development. He currently serves as agriculture and food security adviser for Chemonics’ Eastern and Southern Africa regional business unit. Previously, Mr. Anyang was chief of party for USAID’s Feed the Future Uganda Commodity Production and Marketing Activity, which developed a national supply chain model that delivers production and marketing services to 460,000 farmers. He has extensive experience advancing public-private partnerships in Africa, incubating youth-owned businesses, and expanding smallholder farmers’ access to markets, finance, production, and post-harvest technologies across the continent. Mr. Anyang has previously led activities to deploy digital technologies to enhance extension, market information, and financial services. He holds advanced degrees in agronomy, rural development, crop production, and horticulture from Kenyatta University, the Federal University of Technology, and Lagos State Polytechnic.